With tiny Seed pearls and large Southsea Shell (replica) pearls, this unique and stunning necklace will give you that simple elegance that nobody else has! 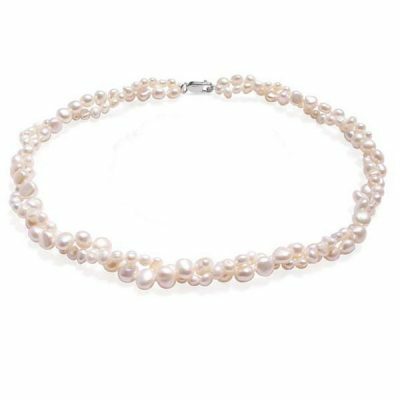 The necklace is made with white colored 3-4mm high luster Round shaped pearls with 15 pieces of large 10mm Southsea Shell pearls. 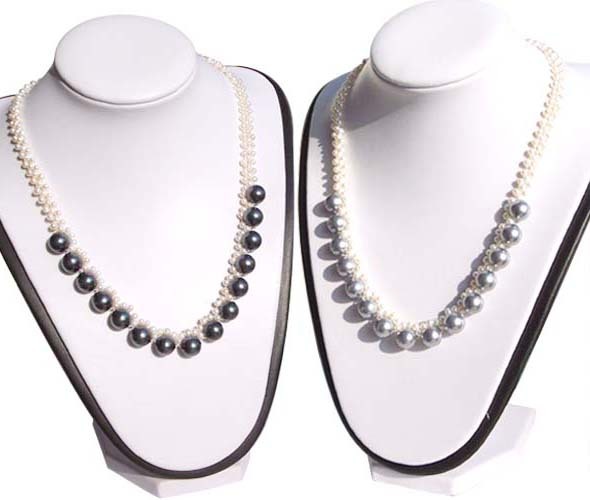 Please note south sea shell pearls have the similar look as the southsea pearls however they are not south sea pearls which would have cost hundreds of thousands at this grade. 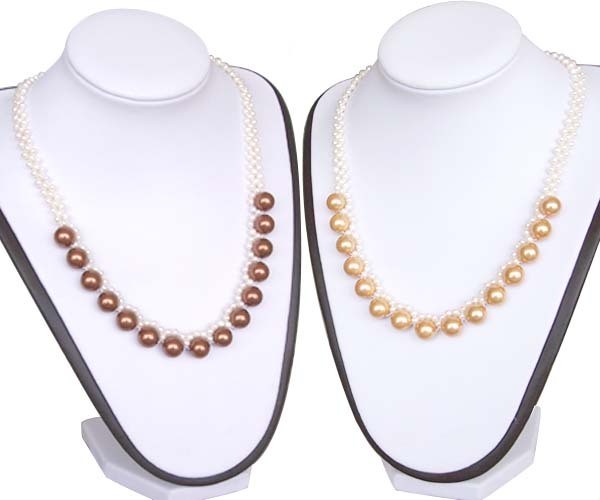 Please read more about southsea shell pearls before you make the purchase. The necklace is finished off with a 925 stamped sterling silver clasp with layers of 18k white gold to keep the clasp tarnish free . 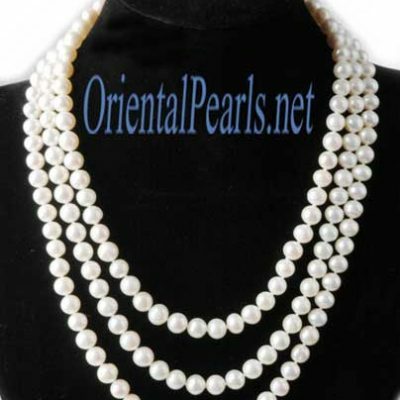 The necklace has a princess length of approximately 18″ long, which is a perfect length for most women. 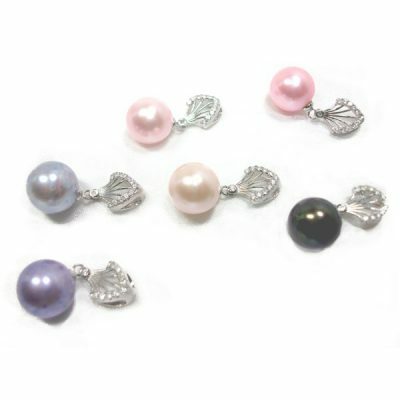 Get a pair of southsea shell pearl earrings to match it from our pearl earrings department, with sale price starts from $4.97 only, you will look gorgeous and be all set for the holiday parties. You may also add additional length to the necklace if needed. Every extra inch costs only $3.00 and it will take only a few extra days in addition to the shipping method of your choice.